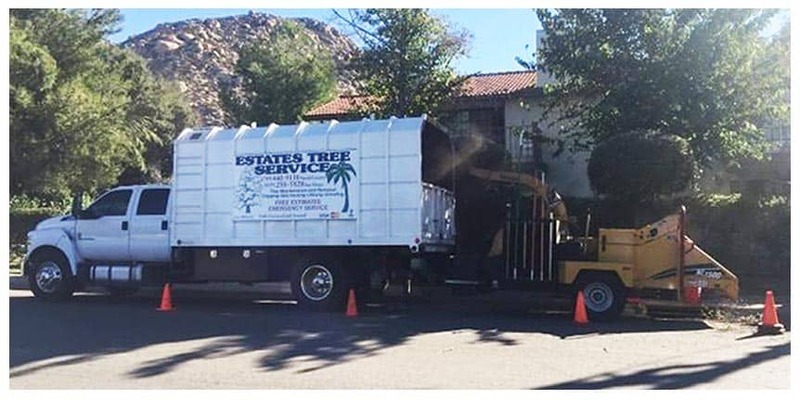 Estates Tree Service has been a Family owned and operated Tree Service operating in San Diego County since 1992. We work here, we live here, and we know how to make your trees look great year-round with the unique San Diego climate. Now, part of the unique climate of San Diego is that seasons really don’t exist, we have summer, and summer with rain, while the temperatures outside may only dip into the 50’s, that doesn’t mean your trees are not reacting to the changing of the seasons, so despite our great climate, you will still want to be sure to prepare your trees for fall. We want to help you make the most of your yard by ensuring that your trees are safe, healthy, and happy, we also want you to be happy with the looks of your home, so take the tips below and put them to good use around your yard, next spring you’ll be happy you did when your trees look better than ever! Maintaining healthy trees in San Diego during fall. 1. Fall Fertilization is essential to a spring bloom. After a hot summer, your soil will be depleted of moisture, and the essential nutrients that the roots of your trees rely upon in order to allow the rest of the tree to flourish. The lack of vital nutrients in the soil that your trees are planted in will eventually lead to sickness or death of your tree. To help ensure your trees have the right nutrients and regain the nutrients lost during the warm San Diego summers, you’ll want to apply a slow release fertilizer, this will slowly work it’s way into the soil replacing the vital nutrients that your tree is looking for. With these nutrients and proper fertilization, your tree will become more resistant to damage from disease, insects, harsh weather, and they’ll be well prepared for the upcoming rains of winter. Be careful not to over fertilize your trees, and use a fertilizer that is right for your specific species. If you need help keeping your trees healthy, you can call the San Diego Tree Care experts at Estates Tree Service. San Diego County does not receive a lot of rain, whether you’re in the mountains of Ramona, the valleys of El Cajon & La Mesa, or along the coast in Del Mar, La Jolla, or Coronado, your trees probably want more water. Being that San Diego County IS in a water shortage, be careful to not over water, but don’t skip watering altogether if you care about your trees. Fall is the right season to give your trees a healthy drink of water, after the scorching summers we experience in San Diego, your trees will greatly appreciate it, by now they’ve depleted what they had stored and they’re ready for some hydration. If you’re in one of the areas of San Diego where frost and freezing is a concern, you’ll want to pay extra attention to getting water down to the roots of your tree, so the tree can soak up the water and deliver it to the rest of the tree. Subsurface watering is an efficient way to ensure water reaches your tree’s roots. Using an injection probe, water is sent throughout the top 12 inches of the soil surrounding your trees, the area your trees need the water most. This method of subsurface watering is ideal for trees and shrubs that are not connected to irrigation systems, newly planted trees, and trees that are in need of temporary relief from drought stress. 3. Plant Trees When the Time Is Right. Depending on the species you’re planting, the right time of year to plant a tree may just be in the Fall. Some tree’s will shed their leaves in Autumn and sprout new life in spring, making fall the best time to plant new trees. Since temperatures are cooler, but not so cold that frost or freezing temperatures will become a concern, there is much less risk of sun scorching, drought stress, or swarming of insects. Planting your new trees during fall give the trees the chance to establish their roots, build a root mass, and prepare for winter dormancy. 4. Equip For The Cold Weather To Come. Winter in San Diego is generally mild, but you’ll want to be prepared for possible snow, frost, cold temperatures or any other environmental variables your area in San Diego County is prone to. According to the experts at Diamond Tree Company a company based in Colorado Any sort of extreme weather condition will pose a higher risk of stress on your trees, be sure to take the time to think what you may need during the fall and prepare for winter. Commonly cabling, bracing and pruning your trees before the frost hits will help your tree flourish in the following seasons. Estates Tree Service wants to win your business, and we will always over deliver for less cost. We do not consider a job complete unless our customer is 100% satisfied. So when you search for a “tree trimmer near me” search for a company that meets all of the standards we outlined above. 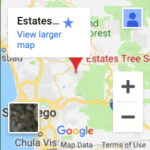 Do you need a local tree service in San Diego? We serve the entire county. Request your FREE, WRITTEN estimate from a LICENSED, INSURED, BBB A+ Rated company by calling (760) 440-9138 or using the contact form at the top of this page!